J.D. Gibbs passed away late last week, at the much-too-young age of 49. Gibbs, Co-Founder and Co-Chairman of Joe Gibbs Racing and son of Pro Football Hall of Fame coach Joe Gibbs, had battled an unspecified degenerative neurological disease for the last four years. J.D. 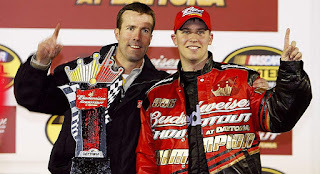 played a major role in the formation and operation of JGR, and when his father accepted a second stint as coach of the NFL’s Washington Redskins in 2004, 23-year old J.D. was an obvious choice to take the competitive helm. 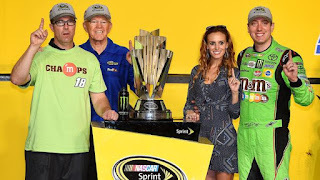 As team president, he oversaw a quartet of championships in what is now the Monster Energy NASCAR Cup Series with Bobby Labonte (2000), Tony Stewart (2002 and 2005) and Kyle Busch (2015). He signed Busch and Denny Hamlin – then a 23-year old Virginia Late Model racer – who went on to win 78 premier-series races for the team, and counting. 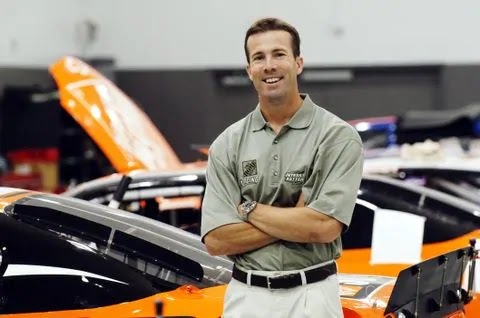 He spearheaded JGR’s transition from General Motors to the Toyota camp, and made the call to shut down the team’s engine shop and go all-in with TRD power, a decision seen as pivotal in the current success of both organizations. Perhaps more important than his on-track results, however, was the personal impact he had on JGR’s drivers, crewmembers and employees, as well as everyone he contacted within the NASCAR garage. Literally thousands of condolence messages flooded social media in the hours following his death, all remembering a man whose ready smile and constant words of encouragement enriched the lives of all who knew him. Doctors were never able to pinpoint a specific diagnosis for the disease that ultimately claimed J.D. Gibbs, saying only that it was caused by “head injuries likely suffered earlier in life." That kind of self-deprecating humor was typical of J.D., and just part of what made him one of the NASCAR garage’s most beloved individuals. By late 2015 – less than a year after it had first revealed itself -- J.D.’s disease had impacted his speech, cognition and ability to process information. His visits to the race track became less frequent, and while still gregarious and outgoing, he often struggled to remember names. There were occasional “good days,” when his face would brighten at the recognition of an old friend, but while those days gave us all hope, they gradually became fewer and farther between. J.D. Gibbs did not so much pass away as slip away; the victim of a terrifying process that carried him a few inches further away with each passing day. Like two roads that separate slowly over many miles, J.D. became less and less a part of our daily lives, until eventually, he was gone. Asked frequently for updates on his son’s condition in recent years, Joe Gibbs would reply simply, “pray for us,” an admission of the astronomical odds stacked against his son, tempered by his steadfast belief in the higher power that watches over us all. Coach never missed an opportunity to remind everyone how important his eldest son had been in the success of his legendary organization. "I want to make sure that everybody here (understands) J.D. 's input with our race team,” said Gibbs late last season. "Lots of times, I get put in a position where I get to represent our company, but I just want to reflect on everything that J.D. has done, and the fact that he's not with us (here today)." Joe and youngest son Coy will continue to run the race team, as they have for the last three years. Wife Melissa and their four incredible boys will mourn the loss of their husband and father, as we will bemoan the loss of our dear friend. Rest in Peace, J.D. It won’t be the same without you.